oath of office in July. 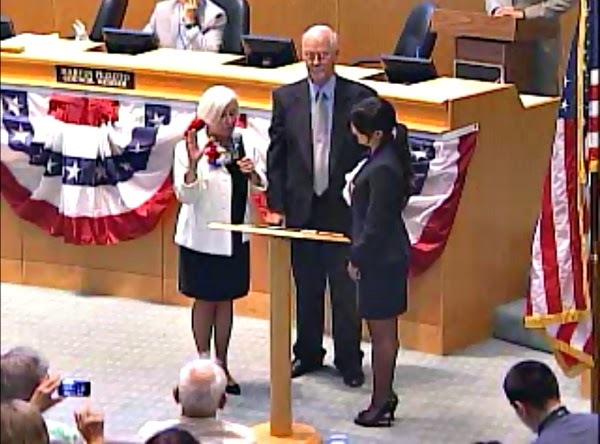 >>>Hayward’s Barbara Halliday is sworn-in as mayor. 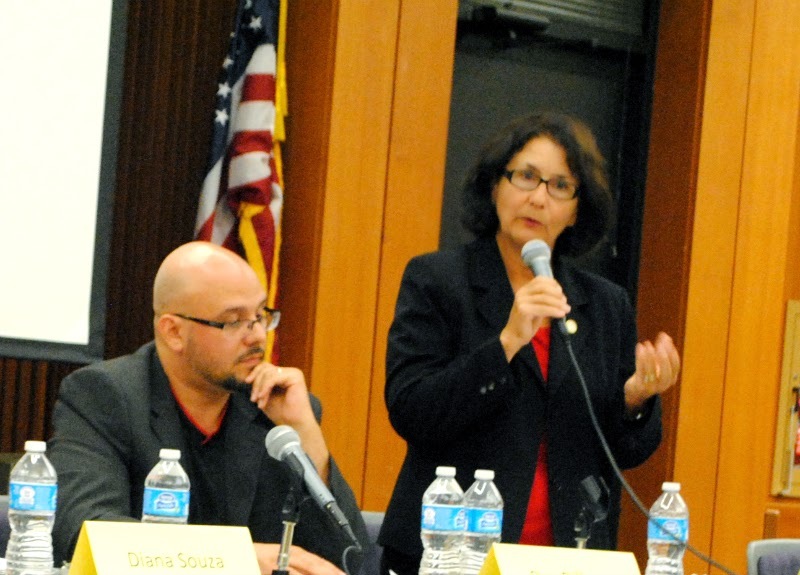 She will be the first of three female mayors elected in the Greater East Bay in 2014. >>>Eighteen Hayward residents apply to fill the council seat left open by Halliday’s election to mayor, but Planning Commissioner Elisa Marquez is selected to serve the remaining two years of the term. >>>During an entertaining Oakland City Council that featured speakers dressed as Colonel Sanders and the Burger King, a city ordinance gradually raising the minimum wage is defeated. It paves the way for the ballot measure boosting the minimum wage to $12.25 by March 2015 to move forward. >>>Not without a significant amount of useless controversy, the Oakland Athletics will continue playing at O.co Coliseum for at least the next three years after a 10-year lease is approved by the Oakland City Council and Coliseum Authority Join Powers Authority. >>>Rep. Barbara Lee says she “felt ashamed” of America after hearing testimony from undocumented immigrant children about their treatment in the U.S. after fleeing strife in their home countries. 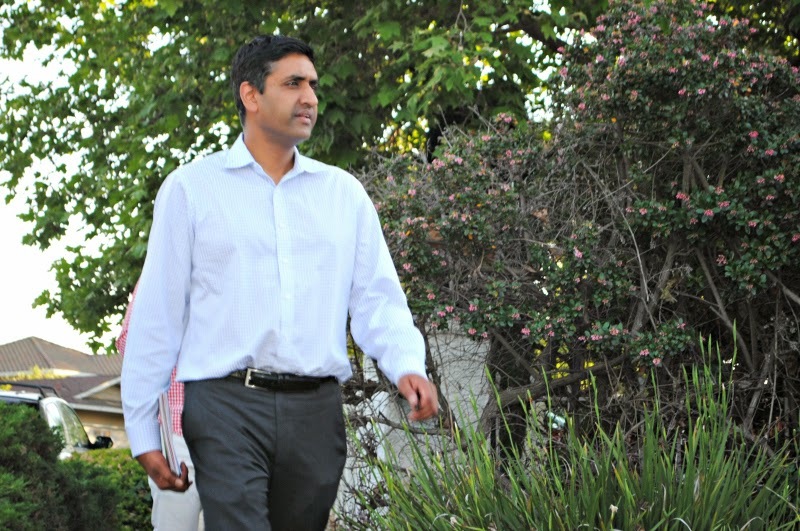 Meanwhile, Rep. Eric Swalwell is named the sixth most beautiful person in D.C.
Ro Khanna strolls to the right. >>>Oakland City Council candidates Abel Guillen and Jill Broadhurst come out the gate with strong campaign finance numbers, but District 6 candidate Michael Johnson makes up his lack of funding with a barrage of biting attacks on incumbent Councilmember Desley Brooks. >>>San Leandro Councilmember Benny Lee inexplicably testifies before the Oakland City Council in favor of an Oakland garbage contract that puts a $2 million hole in his own city’s budget. >>>Despite being one of the most notorious public officials in the East Bay, the Alameda Labor Council clears the field for Joel Young and tries to sneak through his endorsement. SEIU Local 1021, though, remembers Young’s betrayal two years hence and blocks it. Young still win re-election in November. >>>Fair Political Practices Commission clears the Alameda County Democratic Committee of wrongdoing following a tip from one of its own elected committee members. The local party says the investigation cost it thousands of dollars and the growing antipathy toward the member who blew the whistle likely causes her husband a seat on the San Leandro City Council. the first of just two forums in San Leandro. >>>A moribund San Leandro mayor’s race is boosted by the candidacy of businessman Dan Dillman. Just months out of county jail for battering two sheriff’s deputies, the ebullient Dillman gets widespread notoriety. However, it won’t translate to the ballot box and San Leandro is faced with a real stinker of a mayoral election. >>>Alameda County Democrats turn their back on BART board director Robert Raburn after his handling of the BART strike last year and endorse Alameda Councilmember Lena Tam for the job. It doesn’t hurt him in November. >>>San Leandro’s Benny Lee can rest easy. The Oakland City Council reaches a compromise with its garbage contract and San Leandro’s Davis Street Transfer Station will continue receiving trash from Oakland and cash from Waste Management. >>>A San Jose alt-weekly thinks it has Rep. Mike Honda’s re-election up against the wall with allegations it pressured employees to coordinate work with the congressional staff. The allegations are a bit ho-hum and fail to solidify. >>>Jean Quan’s re-election campaign releases a hip-hop video featuring rapper Suga-T. Quan used the same gimmick in 2010.The Oakland police union quietly grumbles about the brief appearance of the department’s shield in the video. 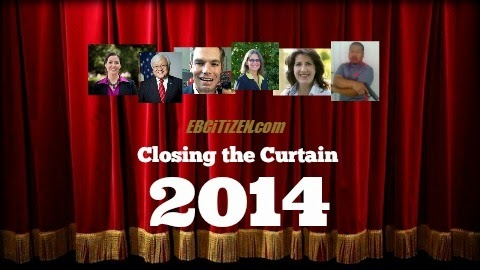 Posted in 2014 Year-in-Review, Alameda County Democrats, Athletics, Barbara Halliday, Benny Lee, Dan Dillman, Elisa Marquez, garbage contract, Joel Young, Michael Johnson, Ro Khanna, Robert Raburn, san leandro. Bookmark the permalink. Benny Lee messed up in a huge way, in going against San Leandro's best interest which could have cost his city millions of dollars and dozens of jobs. My youngest, a monster husky mix, tends to slim down even when he’s eating. Go to our site	Large type young puppies require lower-calorie foods that have lower levels of calcium.